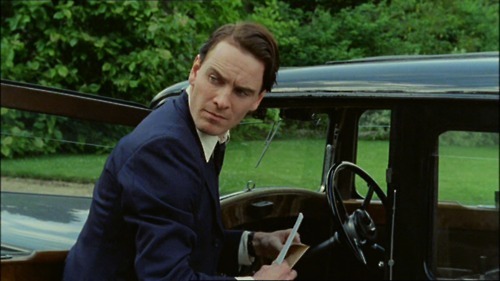 I just watched an episode of Agatha Christie's Poirot, which featured the babely Michael Fassbender dressed in 1930s garb and accessorized with a sensuously furrowed brow and ever-present superman curl. It was a very pleasant surprise. I really think we need to bring back every days suits.